Wessobrunn-Forst (Germany), 19 September 2017 – At this year’s trade fair Blechexpo Schröder Group is going to show a representative cross section of its wide range of machines for the handicraft business and the industry (Trade fair center Stuttgart 7–10 November 2017, hall 1, stand 1709). 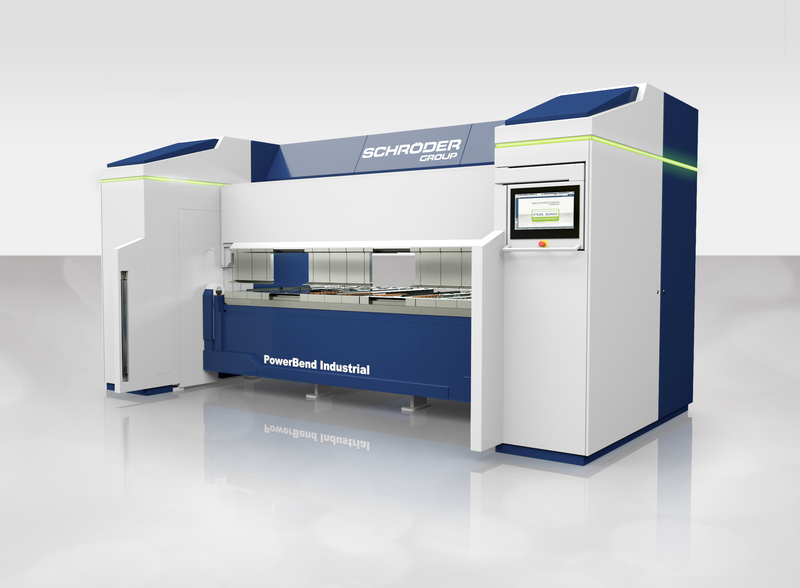 Highlight on the booth will be the industrial folding machine PowerBend Industrial that is able to bend up to 6 mm thick steel sheets. Thanks to the Up-and-Down-folding beam and a suction gauge this machine enables a semi-automated operation. When working with a suction gauge the sheet metal can be gauged against the folding beam and then gets fixed pneumatically. In combination with the Up-and-Down folding beam the bending program executes all bends on one side without any further intervention by the operator. 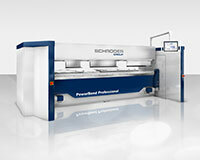 The same innovative features can be seen in another exhibition machine: the PowerBend Professional with a working length of 3200 mm and 3 mm sheet thickness. The third representative of our motorized folding machines will be one machine of our Evolution-series, an industrial machine with a fully-automatic tool changer. 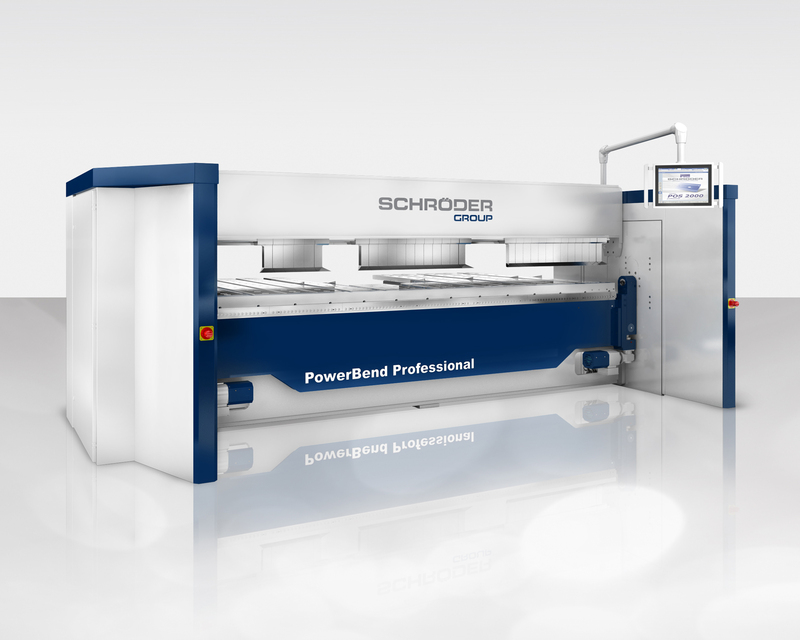 Schröder Group is also presenting two motorized shears in Stuttgart: the motorized shears MHSU 2000 x 2,5 and PDC Power-Duo-Cut NC 3200 x 3,0 inspire with various practical and surface-gentle details. On top, one of the most popular manual folding machines ASK 3 with segmented tools on all beams will be shown on the booth of the manufacturer. The trade fair presentation will be completed by the swaging machine FASTI type 417 and the rounding machine type 134.